When Okami released in 2006 it was heralded as being PlayStation’s answer to The Legend of Zelda. Despite winning IGN’s Game of the Year, total sales of this Capcom published game were very disappointing. That year, I was either playing every obscure Nintendo DS release or feeding my Guitar Hero addiction. Sadly I was one of many gamers who overlooked it and never went back to play it, despite its many remakes. Now that Okami HD is hitting the Switch, I chose to finally dive in, only 12 years late to the party. In the first half hour of playing the game two things struck me. First, the unique art style that is like nothing else I’ve ever seen. The artwork is an Asian Ink Wash painting style known as Sumi-e. It has some of the same characteristics found in a cel-shaded game like The Legend of Zelda: The Windwaker, but this has a different flavor to it. The second thing was the seemingly never-ending introduction. You are treated to a long history, mostly touching on events that happened 100 years ago. Once this ends, you play a ridiculous handholding tutorial section, which is filled with tons of rambling and unnecessary dialogue. It was so bad that I kept nodding off during the first 30 minutes. This entire sequence bored the hell out of me and I wanted to mention it first. Had I not signed on to cover the game, I would have shut it off and never returned to it. However, I’m glad I stuck it out because at times this game is very impressive. Just know that the game starts off extremely slow and there’s a lot of text to get through. You play as Amaterasu, a white wolf referred to as Ammy. You are really a Japanese Sun Goddess taking the form of Shiranui, a wolf who helped defeat the demon Orochi 100 years ago. Now, Orochi has been freed and has cursed the land of Nippon. It is up to Ammy, with the help of insect-sized Issun, to restore color and life to the now bleak land in hopes of stopping Orochi. Ammy doesn’t speak, so Issun serves as your guide, helps further the story, and adds humor – usually by insulting Ammy. Many of the characters you meet are quite entertaining and unusual, notably the self-appointed ‘greatest warrior’ Susano, who is completely useless and is responsible for freeing Orochi in the first place. However, the game continues to be very text-heavy. Some parts of the story are interesting, but I found myself just wanting to discover more and get back to the action. The noises that sync with the text are scrambled voice-overs. These are dreadfully annoying and really hold the game back. The entire game is full of Japanese folklore and mythology that I was largely unfamiliar with. Other players may appreciate and understand this better than I did. In many ways this game reminds me of The Legend of Zelda: Ocarina of Time. You spend much of the game wandering the lands and towns interacting with characters and searching for new areas to explore. As you talk with people, you’ll get tasks – some pertinent to the story while others are optional side missions. You’ll need to locate and get into the dungeons or caves. Inside there are light puzzles to solve, some platforming, and a boss battle at the conclusion. The overall goal is to repair and restore world from its curse. When you get near an enemy, a circular barrier encloses you and you must fight them. Combat is a mixture of melee attacks, weapons, and brush strokes – more on that soon. Enemies drop items and you earn yen used to buy merchandise from shops. I found fighting these common enemies dull, tiresome, and far too easy. I avoided encounters whenever possible, despite the rewards. The celestial brush is the unique feature of Okami HD. By making paint strokes with your magical brush you can create items to help you – such as lily pads to cross water or bombs to open up walls. Brush strokes are also used to restore the land’s plant life. When you come across infected areas on the ground or dead trees – you bloom the trees and plant colorful flowers in their place. These acts earn you praise points which you can cash in to increase your attributes and stats. Another way to earn praise points is by feeding animals with the appropriate food you gather during your journey. Tracking down all of the animals is one of many fun side quests. The brush can also be used as a weapon in combat to cut down villains, but you can run out of ink, so this must be used in moderation. Using the brush is easy to control and extremely fun. Usually you just need to draw circles or lines and if you are a terrible artist like me, the game is rather forgiving. It is rewarding every single time to see decaying trees spring to life. I played most of this game on the TV, as I’m not big on handheld mode, but the touchscreen works great for the brush feature. Classical Japanese music makes up the score for Okami HD. The music is pleasant and peaceful and is the right choice given the setting and environment. However, I didn’t find it to be overly memorable or catchy and some of it can be sleep inducing. The one-of-a-kind art direction is beautiful and has never been replicated by another title. I don’t know if voice acting is necessary in Okami, as there is way too much dialogue to begin with. However, utilizing voice narration in the introduction would have helped its cause. The voice scrambling with the text was a poor choice. The controls, menu, and map system are all designed with perfection, which makes the game easy to learn and navigate. It seemed like my overall impression changed every half hour. At times I was infatuated with the creativity and loved exploring every inch of the map. Learning and utilizing the 13 brush strokes was always enjoyable and added to the game. Finding the animals and unearthing treasure was a great deal of fun as well. Other times I grew bored with the long waves of text that couldn’t be skipped or frustrated with the current task at hand. I had no connection with the silent Ammy or the annoying chatterbox Issun. With the exception of some terrific boss battles, I never enjoyed fighting the common monsters. People with a higher interest in Japanese folklore and culture are almost certainly going to appreciate Okami HD more than a typical gamer. If you have fond memories of the game on the PS2, $19.99 for this HD version is going to be a bargain, especially as it takes around 30 hours to complete (longer if you seek out everything). If you love the 3D Zelda experiences, you should consider playing this thanks to the many gameplay similarities. I had some great moments while playing, but for me it did not live up to the critical praise that surrounded it 12 years ago. 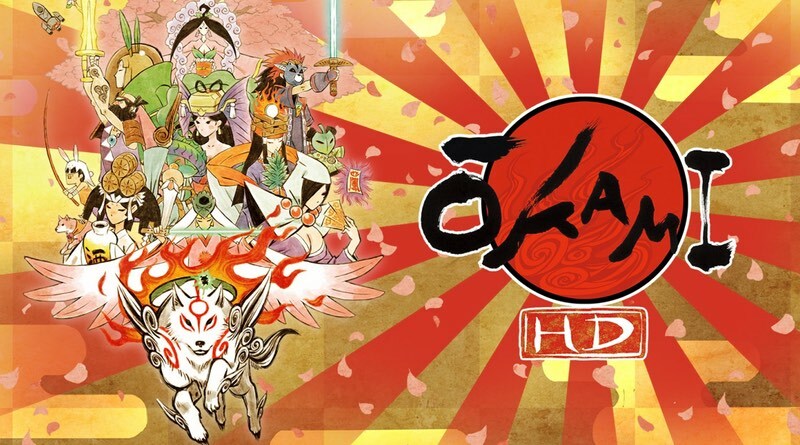 Okami HD was reviewed using a final retail Nintendo Switch download code provided by the publisher.